Tennessee's chief medical officer says the rate of new infections from fungal meningitis appears to be declining in the state where it was first discovered. "I think we're on the downhill part of the epidemic curve," Dr. David Reagan said in an interview on Thursday. Still, Reagan cautioned that he expects to see new infections in the state, and there likely will be more deaths. Tennessee has the most reported meningitis cases at the country, with 66 infections as of Oct. 19. Nationwide, 271 people have been infected in 16 states. The state with the next highest disease total is Michigan with 53 cases. Eight of the 20 patients who have died were in Tennessee. Tennessee health officials were the first to identify and report the outbreak of the rare disease caused when patients seeking pain relief received contaminated steroid injections.The injections were made by a specialty pharmacy, the New England Compounding Center, based in Framingham, Mass. Centers for Disease Control and Prevention spokesman Curtis Allen said it is too early to say whether the rate of new infections is decreasing nationally. "This is still an ongoing investigation," he said. "There were about 14,000 people exposed." Not everyone who received the contaminated medicine will get sick, Reagan said. The most important factor determining who does get sick seems to be how much fungus was contaminating the particular vial of medication they received, not their age or even how healthy they were. "It's not predictable," Reagan said. Tennessee's meningitis patients range in age from 23 to 91 years old. The majority of them are women, but Reagan said that is only because more of the patients receiving the contaminated injections were women. Those patients who have been sickest are those who either did not catch the symptoms early or who didn't receive appropriate treatment early because doctors didn't know what they were dealing with. The fungi become harder to kill once they have established themselves in a person's body. Most of the positively identified cases are caused by Exserohilum rostratum. The fungus is commonly found in the environment, but it has never before been observed as a cause of meningitis. 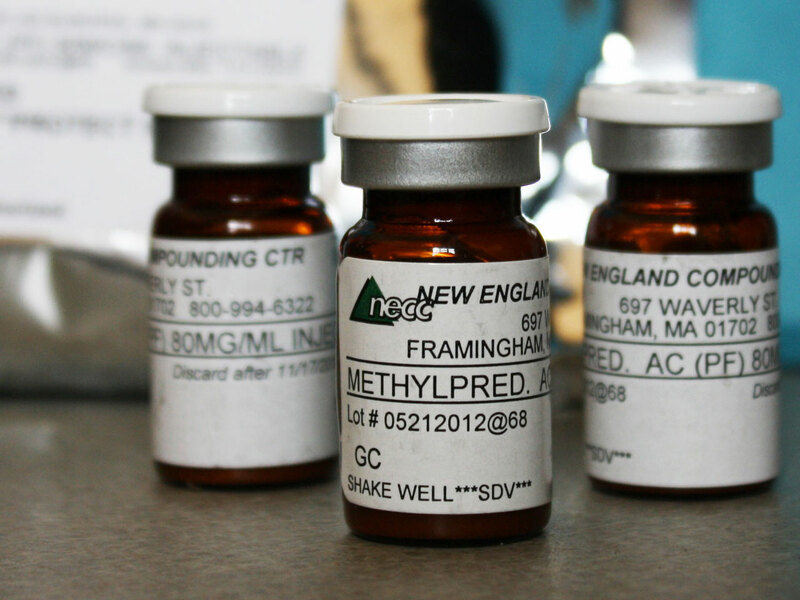 The Food and Drug Administration announced Oct. 18 that Exserohilum rostratum was found in at least 40 people sickened with fungal meningitis and in more than 50 unopened vials from one of the recalled lots from the New England Compounding Center, further confirming the link. Because of that, Reagan said, officials have been unable to firmly establish the incubation period and give those who received the tainted injections a date for when they will no longer need to worry about developing meningitis. "We're saying at least six weeks, or 42 days, but we probably will extend that," he said. "This is new territory. There's no literature to tell us how long." That uncertainty is causing a lot of anxiety for people who received the tainted injections but haven't developed symptoms. And there's no test that can show someone is in the clear. Doctors are diagnosing the fungal meningitis cases by collecting spinal fluid with a long needle, but "just because there's no evidence of infection today, that doesn't mean it won't show up tomorrow," Reagan said. That's why Tennessee health officials are continuing intensive follow-up with the approximately 1,000 patients who received the injections here between June 27 and Sept. 28, when the suspect medication was pulled from clinics. Reagan said officials are calling patients once a week to check in and calling twice a week if patients report any symptoms. That has included tracking down people who were vacationing out of state or even out of the country. For anyone who cannot communicate clearly by telephone, officials are making home visits.